The novel features of the latest iOS attract so many iPhone users. They updated iPhone/iPad as soon as it launched. However, the great risk of losing data while updating iOS system is inevitable. That contacts disappeared can be caused by two reasons: accidental deletion and unexpected data loss during updating iOS 12/11. Here are top 3 ways to recover lost contacts after iOS 12/11 update from iPhone X/8/8 Plus/7/7 Plus/6s/6s Plus/6/6 Plus or iPad Pro/Air/Mini. There are so many occasions when you lose contacts during iOS 12/11 updates and you haven’t backed up your iOS device. How to recover lost contacts on iPhone without backup? A useful iOS data recovery tool, UltData, can easily solve your problem. You can get back lost contacts with it whether you have a backup file or not. 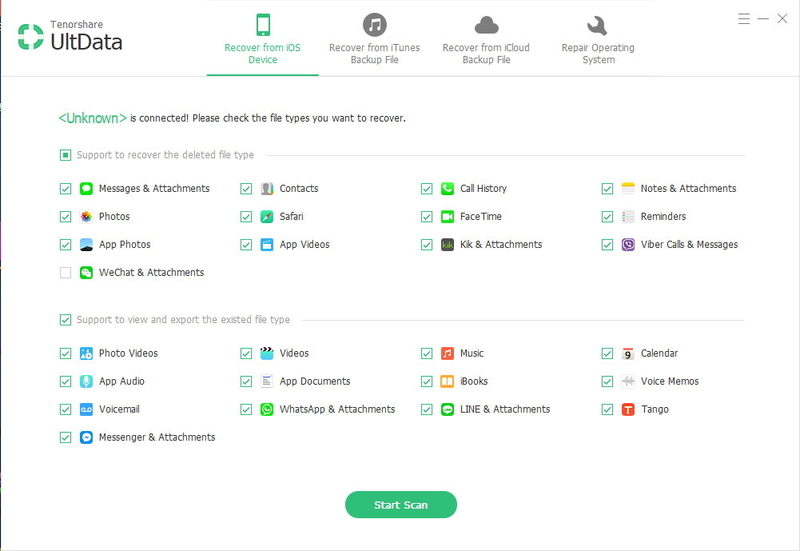 What’s more considerable is that it allows you to preview the deleted data and selectively recover more than 30 types of files, like SMS, photos, videos, notes. Step 1. Download and install UltData. 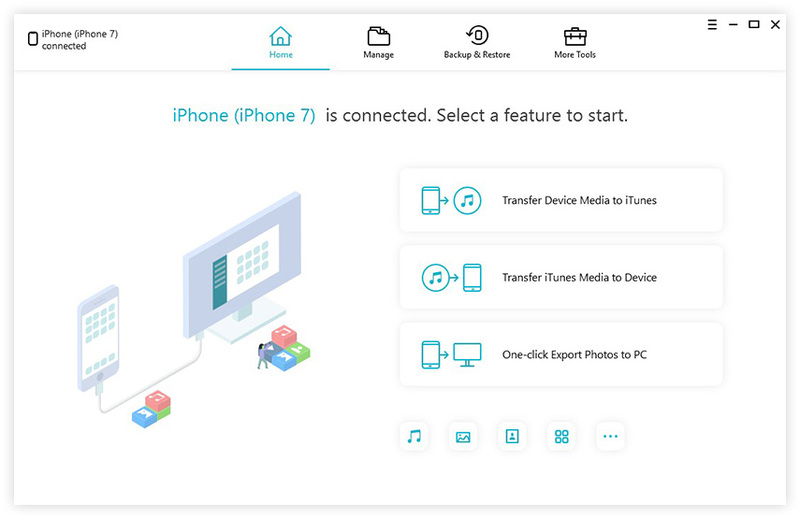 Connect iPhone to your PC/Mac. Run UltData. Step 2. Select “Recover Data from iOS Device”. Tackle “Contacts” and click “Start Scan”. Step 3. As the scanning finishes, all your contacts will show up. You can select “Show only deleted” and click “Recover” at the right bottom to recover your deleted contacts. You can use UltData to extract iCloud files and recover contacts from it. Step 1. Select “Recover from iCloud Backup Files” and login to iCloud with your Apple ID. Step 2. All your iCloud backup files will be listed. Choose the one with lost contacts you want to recover. Then click “Next” and jump to the file type selection interface. Choose “Contacts” to scan. Step 3. After scanning is over, Select lost contacts and click “Recover”. 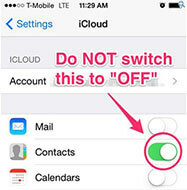 Another solution to recover lost contacts from iCloud backup is to login to iCloud.com with your Apple ID. You will see contacts there. Just select the lost contacts and recover as usually do. Another frequently used method is to restore deleted contacts from iTunes Backup. You have two ways to utilize your iTunes backup file. Step 1. Switch to “Recover from iTunes Backup Files on the main interface of UltData. All your iTunes backup files will be listed here. Choose target backup file and click “Start Scan”. Step 2. Once scanning is over, you can preview all the lost data (including contacts), then choose target items and click "Recover" to regain them. Option 2. Restore Lost/Deleted Contacts from iTunes with Backup File. You certainly can restore lost contacts with iTunes. But what you need to be clear is that restoring via iTunes will reset your device into a former status. The whole device will adopt the data from the iTunes backup file. So if you want to recover contacts only, you’d better choose option 1 to selectively regain contacts. Step 1. Connect iPhone/iPad to your PC/Mac and launch iTunes. Step 2. Select your device. Click “Summary”, choose “Restore Backup”. Step 3. Choose your backup file, and click “Restore” to restore your iPhone/iPad. After finishing restoring, your lost contacts will come back. I hope these three methods can help you recover lost contacts after iOS 12/11 update/jailbreak/factory reset/restore on iPhone/iPad whether you get a backup or not. If you have any other problems, please leave comment below. Copyright © 2007-2019 www.any-data-recovery.com Co., Ltd. All Rights Reserved.